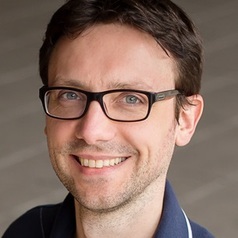 Andrei Cimpian (http://CimpianLab.com) earned a PhD in psychology from Stanford University in 2008 and is now Associate Professor of Psychology at New York University. One of his main areas of expertise is academic achievement and motivation. Among other topics, he has investigated common cultural beliefs about intellectual ability—including stereotypes about who has such ability—and the effects these beliefs have on young people’s aspirations and achievement. In a second line of work, Dr. Cimpian investigates the development of children’s concepts of natural kinds and social groups, and their explanations for what they observe in the world. Dr. Cimpian’s research has been published in top journals such as Science, Behavioral and Brain Sciences, and Psychological Science, earning him the 2018 American Psychological Association Distinguished Scientific Award for Early Career Contribution to Psychology. Media outlets such as The New York Times, The Atlantic, The Washington Post, NPR, and The Economist have covered his work.